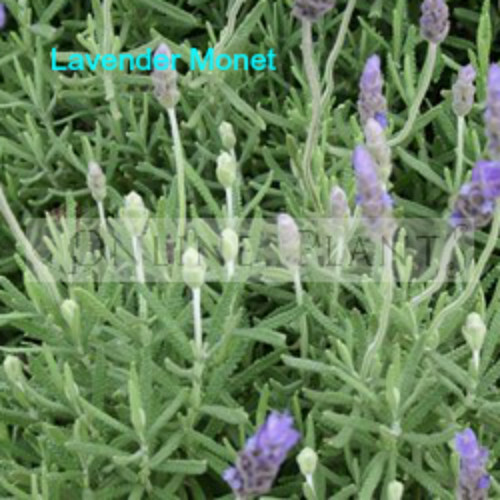 Monet is a compact form of the popular French Lavender, with blue flowers and silver green foliage. 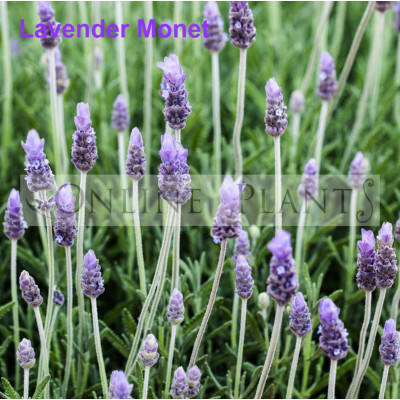 Lavender prefer a full sun to part shade position and are excellent for the hot and dry areas of most gardens. Commonly used for hedges and borders as well as pots and containers. Prune lightly after flowering to maintain a compact shape. Plant 40cm apart for hedge/border. 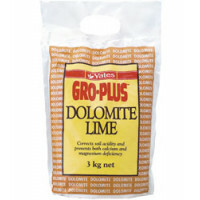 Feed with complete organic fertilizer and dolomite lime to maintain healthy vigor. Monet Lavender is a hardy, tough resiliant new release form of dentata. Available for fast delivery to Melbourne, Sydney, Adelaide, Brisbane and Canberra metropolitan and regional areas. Buy lavender plants online Australia from Online Plants Melbourne. No Minimum order. We deliver to VIC, ACT, NSW, QLD & SA. Quarantine restrictions unfortunately do not allow us to deliver to Northern Territory, Tasmania or Western Australia. 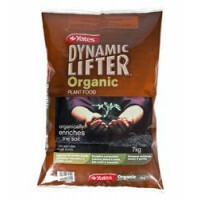 Online Plants leading plant nursery based in Melbourne sell more than 10000 species of plants onlin..